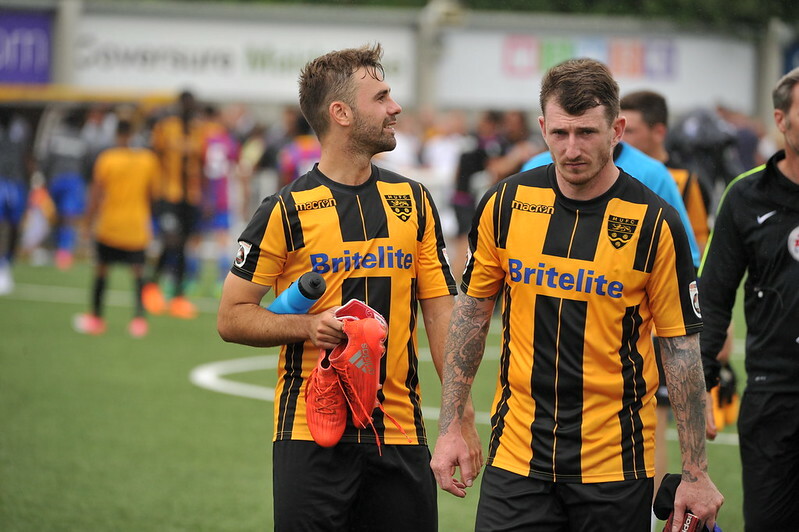 Jay Saunders has started his squad shake-up by releasing Joe Anderson and Reece Prestedge. Left-back Anderson arrived at the Gallagher last summer making more than 50 appearances in his debut season. Prestedge has just completed his second season with the club, having initially joined on loan from Bromley for the second half of the 2016/17 campaign. He too made more than 50 appearances for the Stones. Saunders said: “Even after seven years in the job these are not easy calls to make but it’s part and parcel of football. “Ando and Prez were big characters in the dressing room and on the pitch and I’d like to thank them both for all they’ve done for the club. They’ve always given me 100% and are a credit to themselves.